A YOUNG boy may finally be going home from hospital after a long battle with the flu. Michelle Meara-Fletcher said today she hoped she would be able to take her son Kynan, 7, home tomorrow. 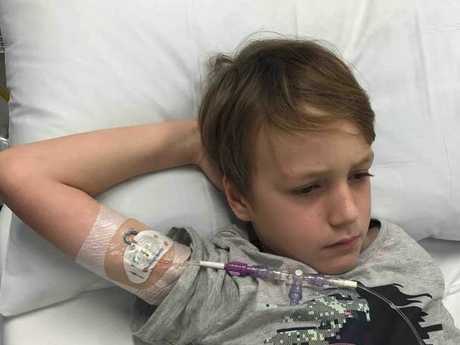 Kynan, from Glenore Grove in the Lockyer Valley, has been in Brisbane's Lady Cilento Children's Hospital for about three weeks after being struck down with influenza A. The soccer-mad Year 2 student subsequently suffered a string of other illnesses including sepsis, meningitis, sinusitis and a blood clot on his brain. Flu season fears after eight year old dies: Rosie’s death comes after influenza killed eight residents of a nursing home and young father Ben Ihlow in Victoria. Mrs Meara-Fletcher said that at the height of his illness, her son spent at least four days in intensive care, but was recovering well now. 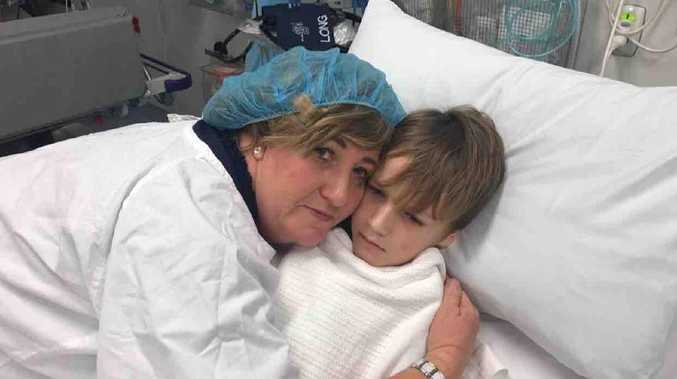 On Wednesday, Kynan underwent surgery for cochlear implants because the meningitis has rendered the seven-year-old permanently deaf. "The first thing he said when he woke up from his anaesthetic was that he wanted me to cook him a steak," Mrs Meara-Fletcher said. "I said to my husband, 'I think we might have to go for a counter lunch somewhere tomorrow on the way home and get him that steak'." Mrs Meara-Fletcher said the family-of-five were saddened Kynan had lost his hearing, but were grateful he was now recovering well. "All I could think of was, he is not going to hear me say, 'I love you' because we are a very kissy, cuddly, affectionate family," she said. "I kiss my boys all the time so it was a bit of a shock." A GoFundMe page has raised nearly $6000 for treatment.